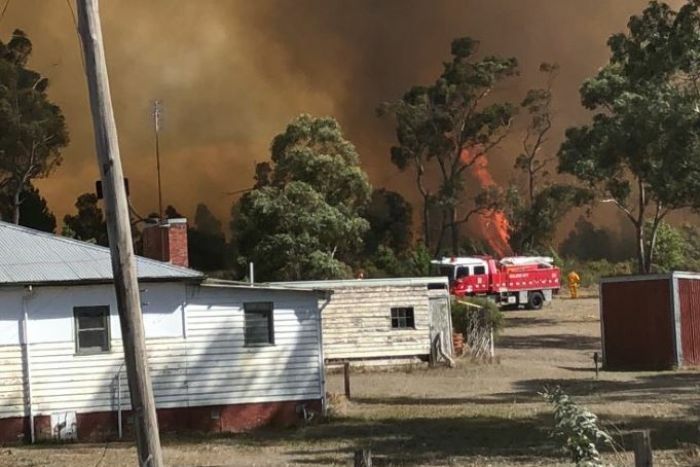 A bushfire is burning out of control south of Ballarat, in central Victoria, and at least one structure has been engulfed in flames, the CFA says. 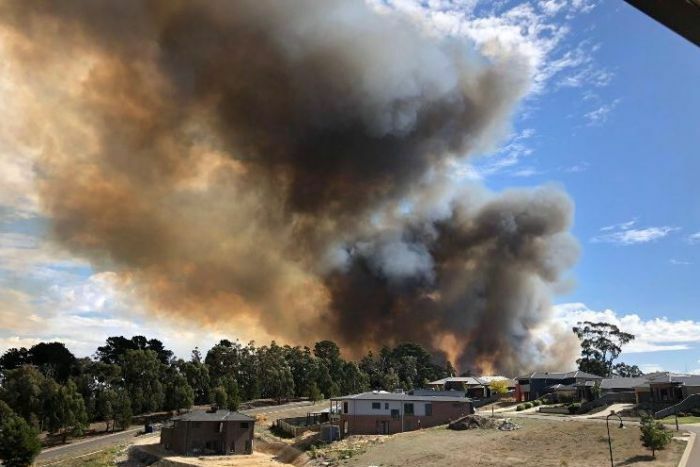 An emergency warning advising residents to leave immediately was issued at 12:20pm for the suburbs of Mount Clear and Sebastopol. 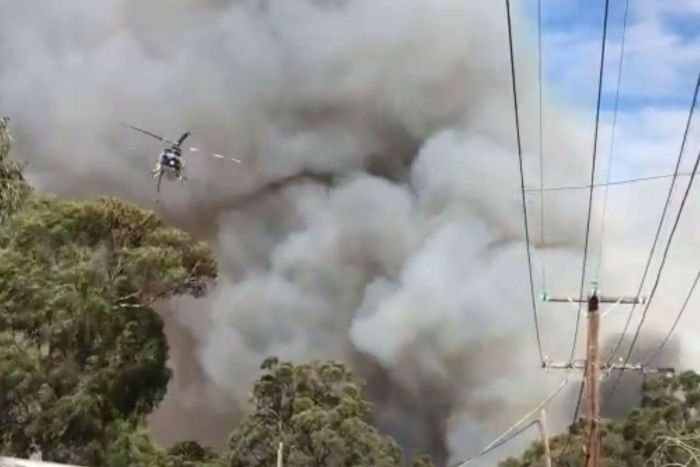 The fire at Tinworth Avenue was travelling in a southerly direction towards Whitehorse Road, Emergency Victoria said. The area is near a pine plantation and police have told nearby residents to evacuate. Water bombers are on the scene. Leaving immediately was the safest option before conditions became too dangerous, officials said. 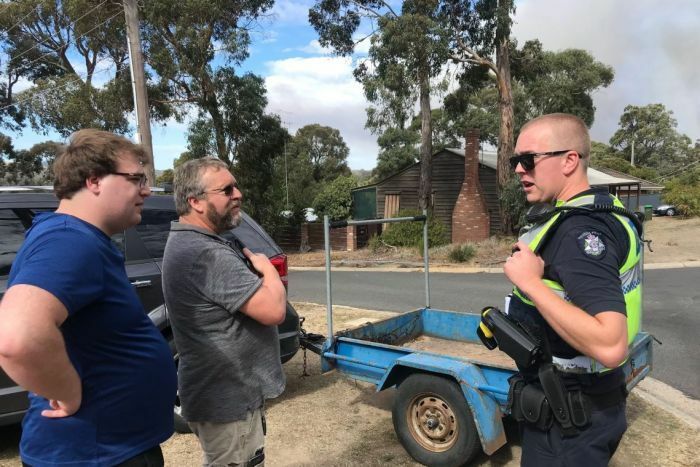 People in the area were advised to leave by Geelong Road towards Ballarat. A watch and act message has been issued for suburbs south-east of the fire.